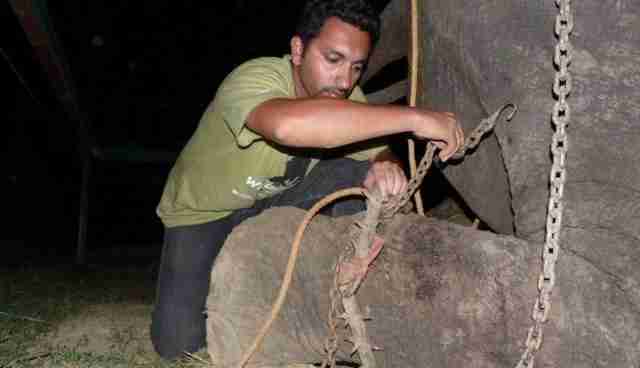 After five long decades of being forced to endure a life of unimaginable suffering, Raju the elephant is finally free. Fitted with painful shackles for nearly his entire life, Raju walked the dusty roads of India, interacting with tourists in exchange for coins and food. His body bears the signs of malnutrition and the scars of physical abuse -- but the emotional toll was no less profound. Late last week, a team led by the UK-based animal charity, Wildlife SOS, intervened to liberate Raju from his cruel keeper. As it started to become clear that they were there to help him, the elephant wept. 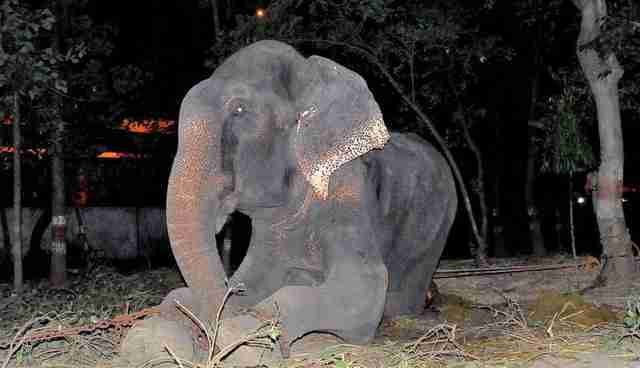 "Raju was in chains 24 hours a day, an act of ­intolerable cruelty. The team was astounded to see tears roll down his face during the rescue," said Pooja Binepal of Wildlife SOS told the Mirror. "It was incredibly emotional. We knew in our hearts he realized he was being freed. Elephants are majestic and highly intelligent animals. We can only imagine what torture the past half a century has been for him." 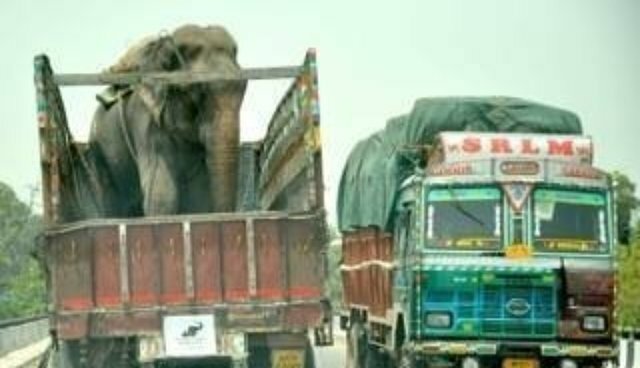 The rescue was part of a coordinated effort with local authorities one year after Raju's dire situation was first reported and a legal process was begun to have him be confiscated from his mahout. The team worked through the night, removing the sharp shackles that had been trapping him for most of his life. It is believed that Raju was abducted from his mother in the wild as a calf some 50 years earlier, and has suffered mistreatment at the hands of various owners ever since. 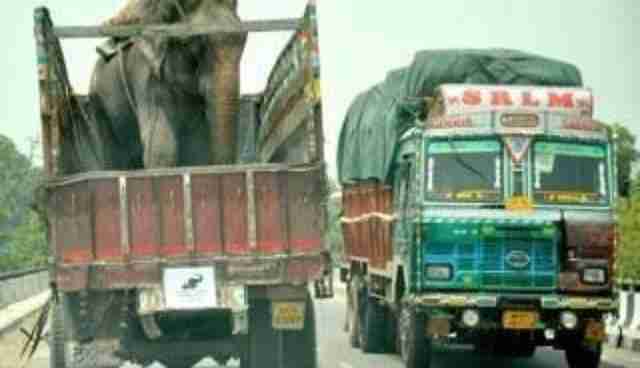 Aftwards, Raju was loaded onto a truck, and under the care of veterinarians, transported to Wildlife SOS's Elephant Conservation and Care Centre 350 miles away to start the process of healing, both from his physical injuries and from the psychological torment that came with his captivity. Now, Raju will live out his days in a more natural setting with the companionship of other rescued elephants like himself. "Until we stepped in he'd never known what it is like to walk free of his shackles," says Binepal. "But today he knows what freedom is and he will learn what kindness feels like."